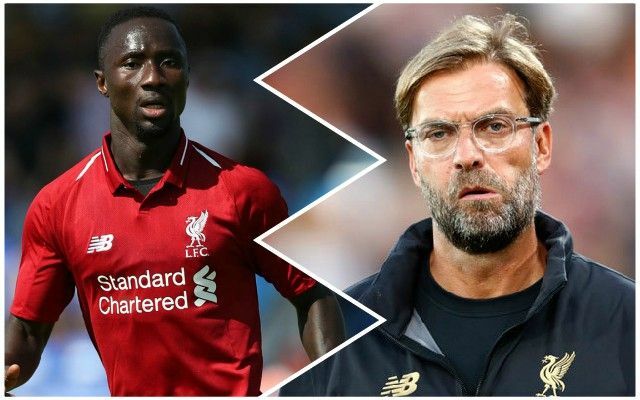 Naby Keita has been taken off before half-time whilst playing for his country, Guinea, in the latest Reds injury scare during the international break. According to journalist Amadou Makadji, the number eight has a thigh injury, sustained in AFCON 2019 qualifying against Rwanda. Translated, the following tweets suggest he was holding the back of his thigh and then was replaced by Seydouba Soumah, who plays for Israeli Premier League club Maccabi Haifa. It is unclear as of yet how serious the injury is, but it comes after Mo Salah, Sadio Mane and Virgil van Dijk all returned from the international break with other injuries. None of the other injuries are expected to be massively serious, but just days away from facing Huddersfield, it is not welcome news.